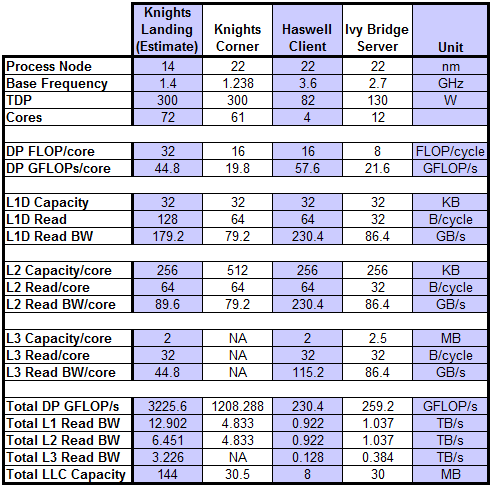 Table 1 shows estimates of the critical characteristics of the 14nm Knights Landing, compared to known details of the 22nm Knights Corner, Haswell, and Ivy Bridge-EP. The estimate of Knights Landing differ from the rumored specifications primarily in the capacity of the shared L2 cache, which is estimated to be 512KB, rather than 1MB. It is possible, although extremely unlikely that the shared L2 cache is 256KB. The analysis also incorporate several other critical factors which were not mentioned in any rumors, specifically cache read bandwidth and the large shared L3 cache. The L3 cache is estimated as eight times the size of the L2 caches or 144MB in the unlikely scenario that the L2 cache is 256KB, then the L3 cache is likely to be proportionately smaller. One thing these platforms have in common is an ARM processor. Now they have some competition from Intel with its “MinnowBoard,” a $199 computer in the form of a 4.2″ x 4.2″ board with an Intel Atom processor. The attack against the Ivy Bridge processors sabotages random number generator (RNG) instructions Intel engineers added to the processor. The exploit works by severely reducing the amount of entropy the RNG normally uses, from 128 bits to 32 bits. The hack is similar to stacking a deck of cards during a game of Bridge. Keys generated with an altered chip would be so predictable an adversary could guess them with little time or effort required. The severely weakened RNG isn’t detected by any of the “Built-In Self-Tests” required for the P800-90 and FIPS 140-2 compliance certifications mandated by the National Institute of Standards and Technology. via Researchers can slip an undetectable trojan into Intel’s Ivy Bridge CPUs | Ars Technica. Intel isn’t just pushing Avoton as as low-power solution that’ll compete with products from ARM and AMD, but as the linchpin of a system for software defined networking and software defined storage capability. In a typical network, a switch is programmed to send arriving traffic to a particular location. Both the control plane (where traffic goes) and the data plane (the hardware responsible for actually moving the bits) are implemented in hardware and duplicated in every switch. via Intel ‘Re-imagines’ The Data Center With New Avoton Server Architecture, Software-Defined Services – HotHardware. Software defined networking replaces this by using software to manage traffic (OpenFlow in the example diagram below) and monitoring it from a central controller. Intel is moving towards such a model and talking it up as an option because it moves control away from specialized hardware baked into expensive routers made by people that aren’t Intel, and towards centralized technology Intel can bake into the CPU itself. This time around, Intel is actually much more interested in telling us about that lowered power consumption, as is evident in the use of phrases like “biggest [generation-to-generation] battery life increase in Intel history.” By the company’s measurements, a laptop based on Haswell should in some circumstances be able to get as much as a third more battery life than the same laptop based on Ivy Bridge. via Haswell is here: we detail Intel’s first 4th-generation Core CPUs | Ars Technica. Haswell is the sort of CPU upgrade we’ve come to expect from Intel: a whole bunch of incremental improvements over last year’s model, all delivered basically on-time and as promised. Again, we’ll need to have test systems in hand to verify all of the lofty claims that the company is making here, but at least on paper Haswell looks like a big push in the right directions. It increases GPU power to fight off Nvidia and AMD, and it decreases overall power consumption to better battle ARM. Intel says the distribution is optimized for the Intel Xeon processor platform. In its announcement, the company states it can analyze one terabyte of data, which would previously take more than four hours to fully process, can now be done in seven minutes. via Intel Launches Hadoop Distribution And Project Rhino, An Effort To Bring Better Security To Big Data | TechCrunch. “There’s a clear trend toward white box — getting away from the model where everything comes pre-integrated from one vendor,” says Guido Appenzeller, Big Switch’s CEO. Any of the “hyperscale” Web/cloud players — the likes of Google, Facebook, Amazon Web Services LLC — have “at least tried out white boxes in the data center,” he says. via Light Reading – Intel Invests in Big Switch. “You will see some of the largest customers in the world demanding some very specific mandates, one of which is standardization, which implies white boxes,” says Jason Matlof, Big Switch’s vice president of marketing. The bottom line: The largest customers want open standards — probably to create a more competitive marketplace for the massive amount of boxes they need to buy. More competition = lower prices or better features or simply lower total cost of ownership. Intel will continue rolling out desktop motherboards that are currently in production, in addition to the fourth-generation Haswell desktop boards that are in the design and development phase and due to be released later this year. These products will have a typical lifecycle of about 18 months, said the Intel spokeswoman, adding that Intel customers will continue to be supported with a full warranty during that time. via Intel to leave desktop motherboard business by 2016 | ZDNet. The way I read this it’s just the motherboards themselves, not the chips included in desktop motherboards. Intel even wants to dictate the components in displays—it wants manufacturers to begin putting small amounts of RAM into their display panels to make them capable of storing static images. That way, if a user is reading a document or webpage but not interacting with anything on the screen, the computer could display a static image of the screen rather than continuously refreshing it for no reason. via Intel wants to micromanage tablet makers in the name of battery life | Ars Technica.